Ever since making VISION in 2010 I've had a hankering to dip my toes into the horror genre again. I've loved horror from a young age and attend FrightFest every year to see what new terrifically terrifying tales filmmakers have concocted. Later in the year, once the evenings begin drawing in, I'll be directing a short horror film based on my own script. I wrote it last year but it was far too ambitious to attempt, I've since rewritten and taken everything back to it's core elements and themes, making it much more achievable. It's very much a continuation of the themes explored in Plastic Love and could easily be viewed as a companion piece. I'm pleased to say Tim Blackwell and Debra Baker, from Plastic Love, will be featuring as the two lead roles. I love working with these two as they're fantastic actors and willing to push themselves and their performances. The film itself will be a dark comedy/horror, very British and idiosyncratic, think The Royle Family meets Fred and Rose West directed by Alan Clarke with a dash of Ken Russell. 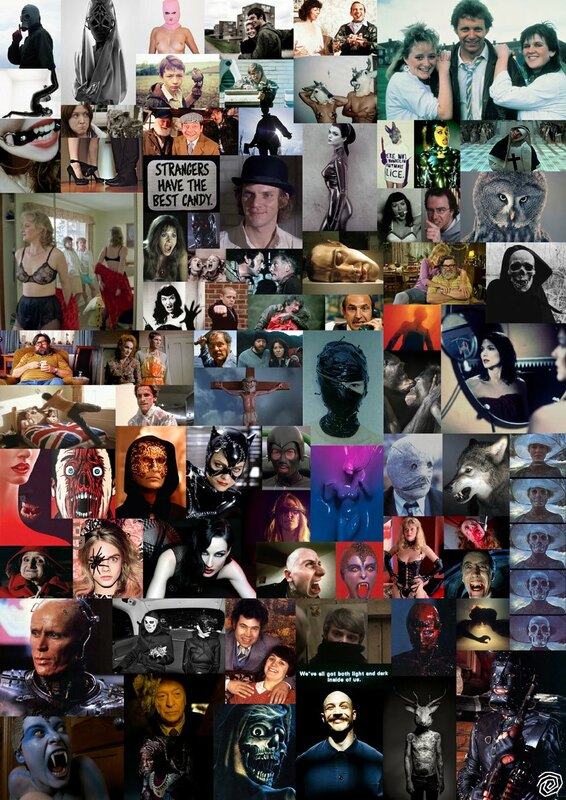 I've created a mood board for the film as it's something I do for every script, some of the images relate to the actual script and others are purely random that I like and fit the tone. Check it out below and play name the film. I can't say much more for now but follow me on Twitter for future updates or if you want to chat cinema.